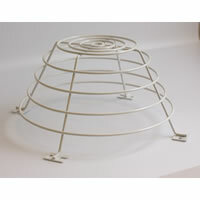 Constructed from super tough steel wire. 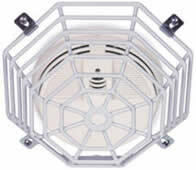 Coated with a corrosion resistant polyester shell. 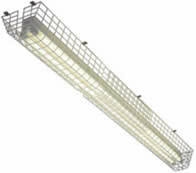 Twin-tube lighting assemblies can be easily accommodated. 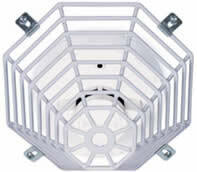 This cage is constructed of super tough, steel wire with corrosion resistant polyester coating. 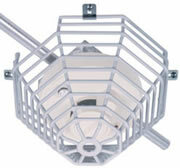 It helps protect fluorescent lights against vandalism and accidental damage. 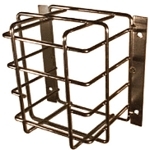 The wire guard is adjustable to accommodate various fluorescent twin-tube lighting fixtures. 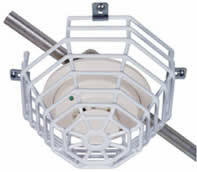 It measures 94.5 inches fully extended and can be retracted to 70.87 inches. The maximum width is 9.5 inches, with a depth of 6 inches. 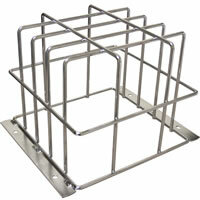 Installation is simple with anchors and screws provided. 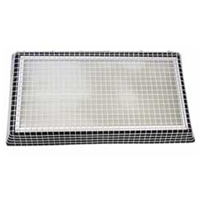 As with all STI protective covers, Fluorescent Light Cage is backed by a lifetime guarantee against breakage in normal use. 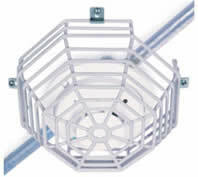 This cage is constructed of super tough, steel wire with corrosion resistant polyester coating.